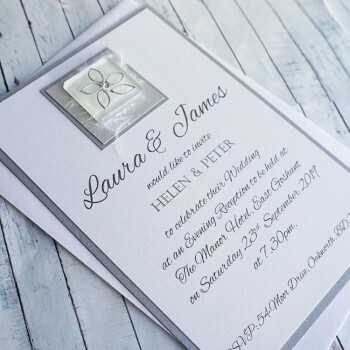 Handmade Flat or Evening Wedding Invitations "Keen"
FLAT WEDDING INVITES can be used for day or evening wedding invites and are a cheaper alternative than the classic fold invites. The Keen design is stylish and contemporary, featuring a beautiful glass tile handpainted with a silver daisy. 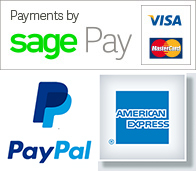 The tile is mounted on pearlescent card and embellished with a Swarovski diamonte. 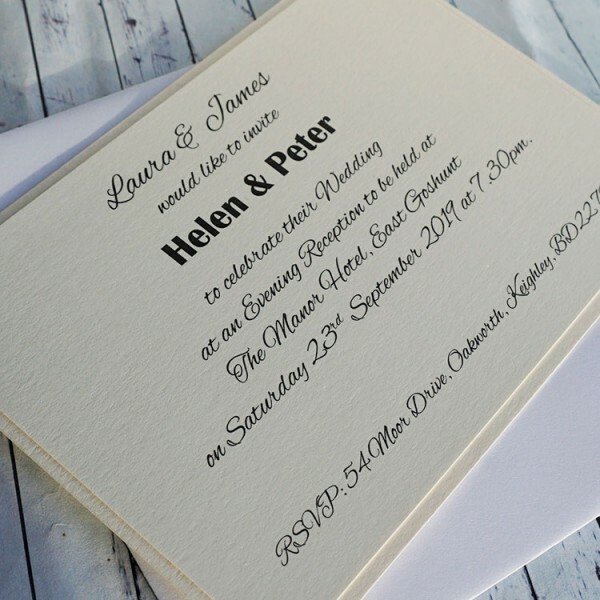 The KEEN design is available in any colour scheme to match your wedding and we are happy to match to a colour sample. If you let us know your colour scheme when placing an order for a sample, we will send you a swatch of the card colours available. 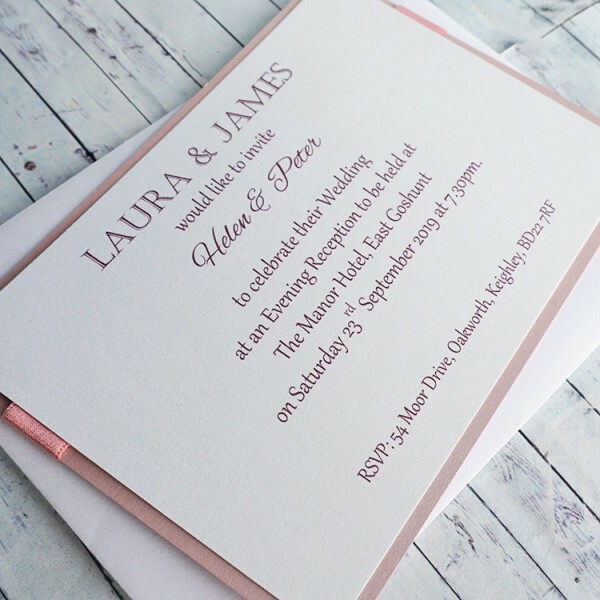 Handmade Personalised Wedding Invitations "Keen" The KEEN design is stylish and contemporary ..